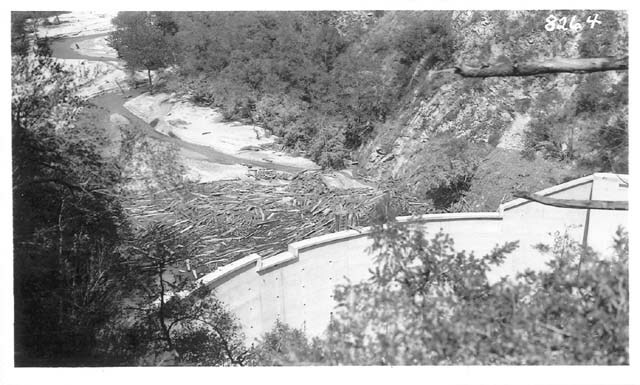 January 20, 1943 -- In the middle of World War II, a dam rises in the Arroyo Seco, the first project in the US Forest Services Los Angeles River watershed program. 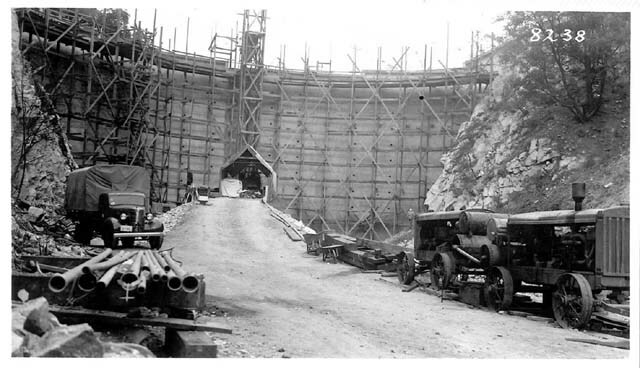 Note the construction elevator for people and equipment, the Reo truck and the compressors in the foreground. 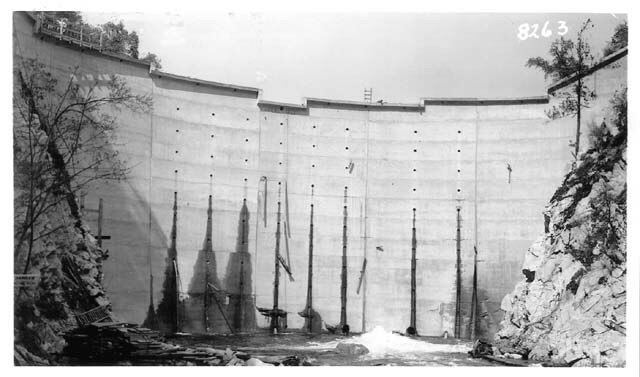 January 20, 1943 -- This is the upstream side of the dam with a vertical drain and grate rising up behind the dam. 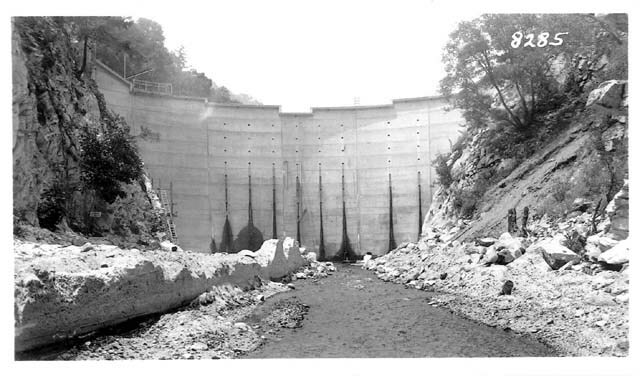 June 7, 1943 -- Several months later there is still significant water behind the dam. 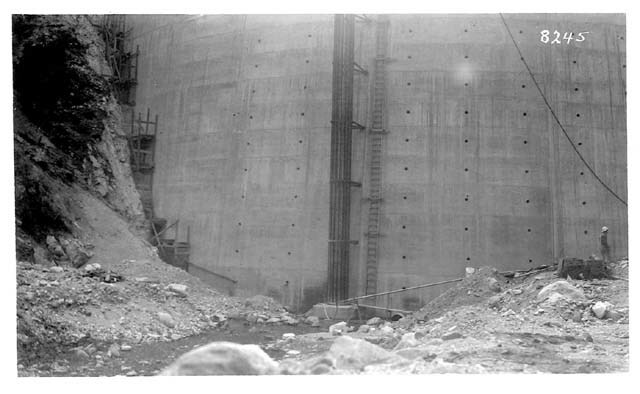 Note the scouring of the area downstream of the dam and the remaining construction debris resulting from cleaning and site preparation. These pictures have been made available by Robert Wilde and the Pasadena Water Department.